The papers collected in this book, first published in 1990, represent the edited proceedings of a conference held to celebrate the 25th anniversary of the publication of Piero Sraffa’s Production of Commodities by Means of Commodities. In arranging the conference, and subsequently during the editing of the papers, great care has been taken to invite scholars of different schools of thought to contribute. 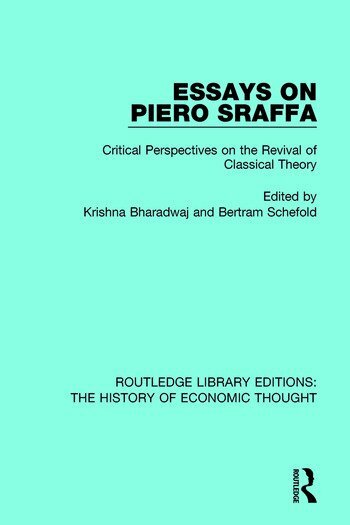 The result of this collection of ideas has resulted in a most promising critique and provides an extensive alternative to modern Neo-Classical theory, of interest to all students of economic thought.